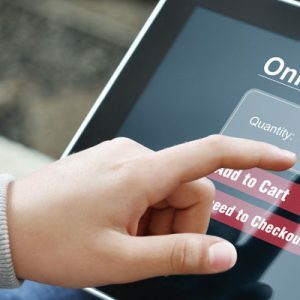 According to Forrester’s new white paper, tablets will be the next step in the evolution of electronic commerce, surpassing even mobile phones. Although currently, only 9% of consumers who make purchases through the Internet use these devices, Forrester expects to see a massive adoption in the next five years. Why will it be the Tablet and not the Smartphone or other devices? First, tablets beat mobile phones in screen size, being large enough to explore comfortably, making it easier to see very small details and more secure when entering credit card numbers or other personal information . Second, it beats laptops for portability, even if we have both devices. The Tablet is lighter and easier to handle, besides being easier to balance on the knees when we are on a couch watching TV. In third, its wealth in content. The commercial applications make us live the experience as if it were a catalog and has turned it into an audio-visual spectacle. In short, these devices encourage recreational navigation. At the moment we are in the beginning of the commercialization of tablets and not all companies can justify the cost of creating a specific commercial application, so for now, many prefer to omit the creation of one and operate their websites as if it were one of them. However, with the massive adoption that is expected, it would make sense for them to begin to venture into this area, to take advantage of the opportunity to anticipate the next events.